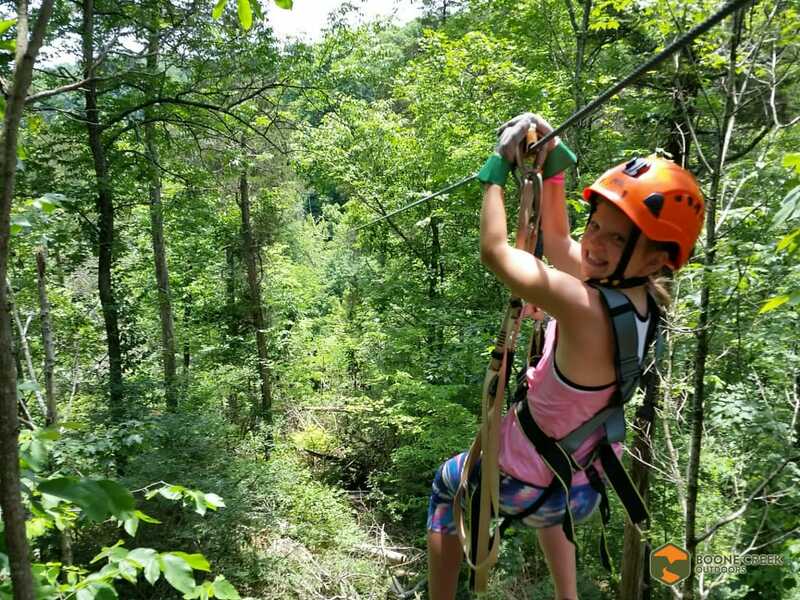 Lexington’s first and only Canopy Zip Line Adventure! The wait is finally over! Boone Creek Outdoors is open for business. Everyone at BCO is bursting with excitement to share this one of a kind experience. Our guides will take you on a journey from the primary forests regrown after agricultural impact to the old growth forest with trees over 350 years old! 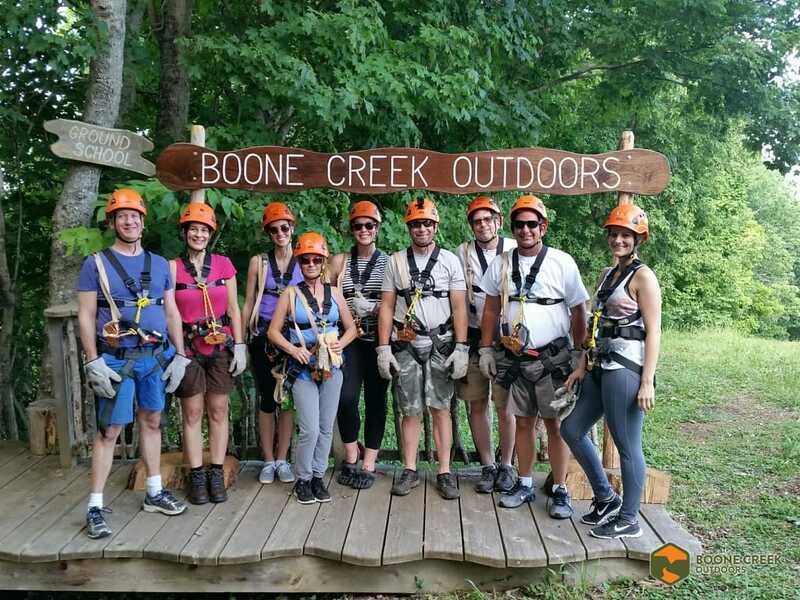 Soar over Boone Creek Gorge and witness the breathtaking limestone palisades. You cannot reach these heights anywhere else in Fayette Co. We are accepting reservations online and by phone – walk-ins welcome for tours that aren’t full! 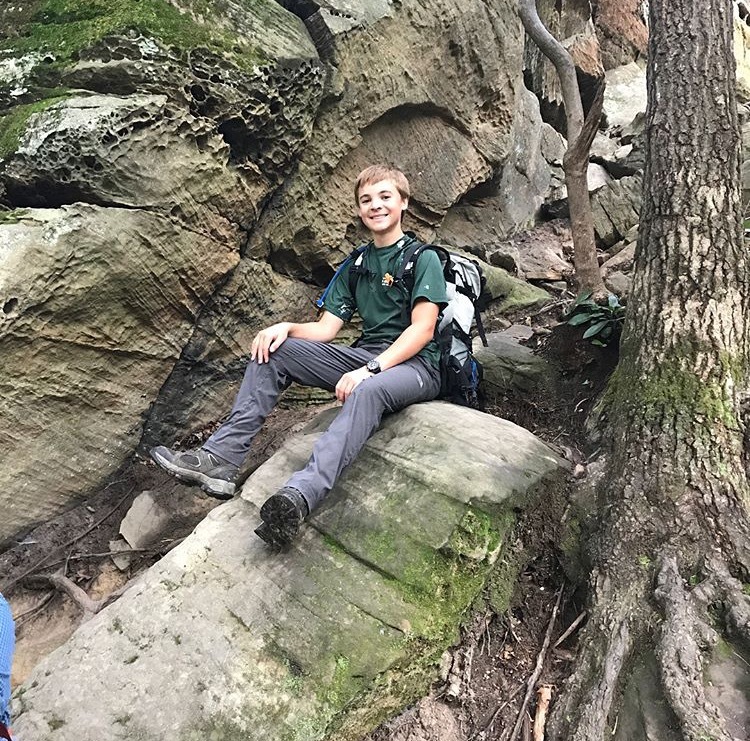 Meet our junior guide, Harrison! First volunteer day was a blast. Thank you to all of our amazing volunteers last Sunday. Your experience and advice made all the difference! Making big progress on this property. We will continue our volunteer program through out the year. Remember, eight hours of service earns you a FREE zip AND guided hike on the property! Our next volunteer opportunity is Sunday the 6th, 10am – 2pm. What is a no-dig garden? Last month the BCO crew started a “no-dig garden”. Why no-dig? First, soil is a very complex ecosystem, a tiny universe, with 50 billion microbes in just 1 tbsp! These critters carry out important functions of nutrient cycling, improve soil structure, aid water and air movement, and control diseases and enhancement of plant growth. Digging and turning over the soil exposes this delicate ecosystem to the air and ultraviolet rays of the sun which dries and sterilizes the soil. Second, less work! The soil on our land has a large percentage of clay – not the best for plant growth! Rather than tilling, we created our own topsoil by layering materials such as compost, leaves, straw, and mulch. What’s growing? Tomatoes, eggplant, jalapeno peppers, swiss chard, lettuce, spinach, cucumbers, basil, mint, lavender, sage, oregano, and marigolds for pest control!